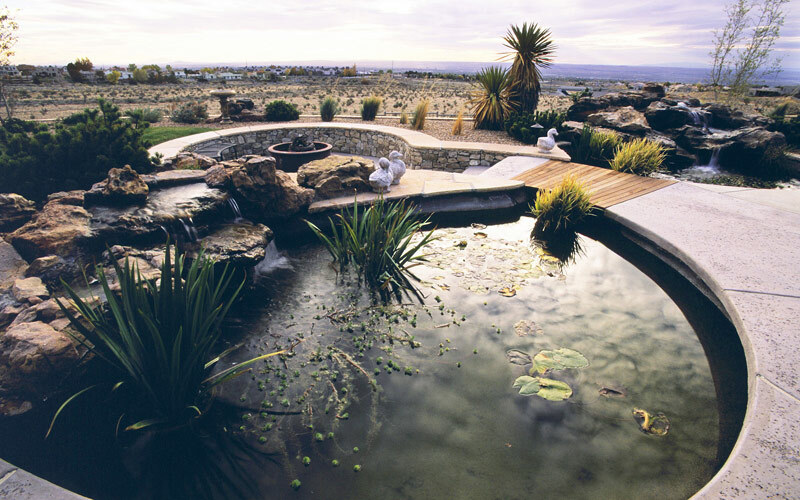 A custom-designed and built home in the exclusive Canyons at High Desert posed the challenge of creating a landscape to match. 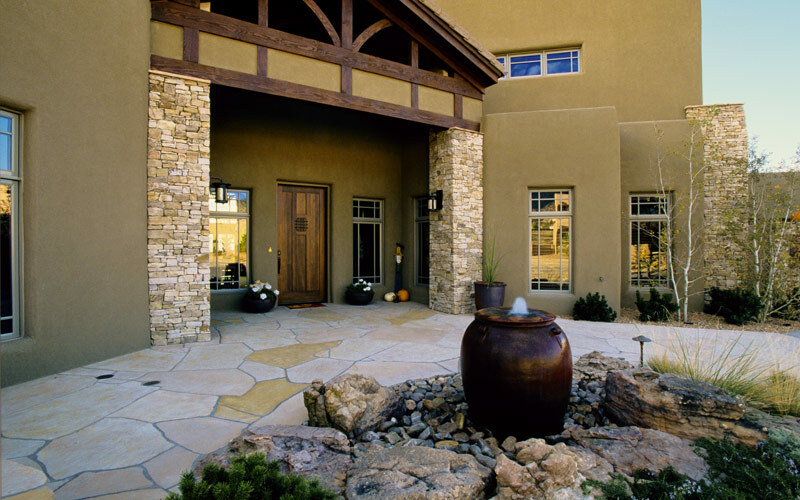 The client requested a showy entry and a backyard designed for entertaining their guests. The slope of the lot provided another element to the plan to work with. The solutions included an extensive flagstone patio in front accented by a pot fountain and landscaping that welcomes your arrival at the generous front porch entry. 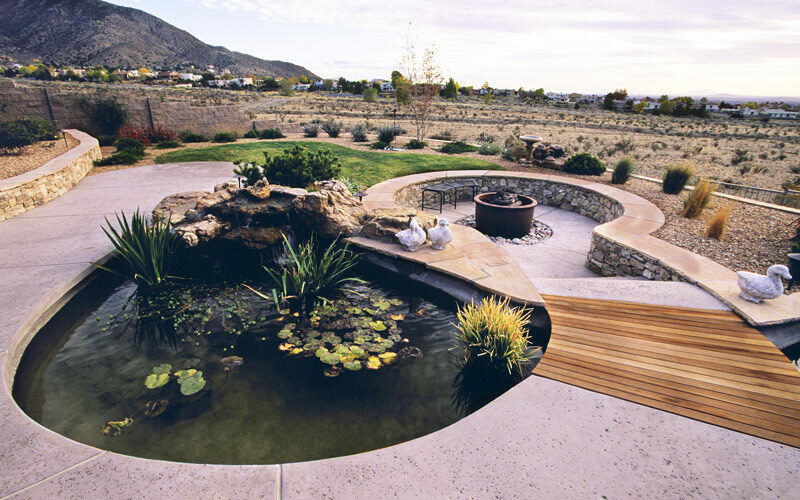 The backyard provides multiple levels integrating the ponds, firepit with its seating area, and naturalistic planting areas through the use of stone seatbench retaining walls topped with flagstone. 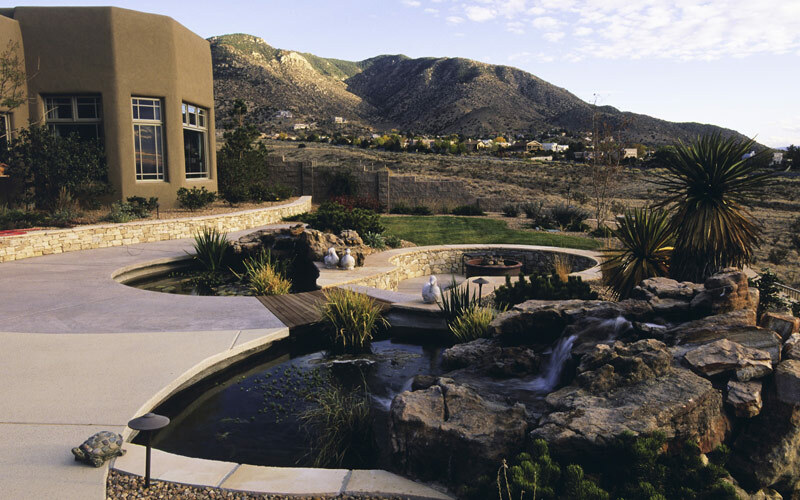 The magnificent views of the open space, mountains and city are unobstructed for enjoyment from the patios and house. 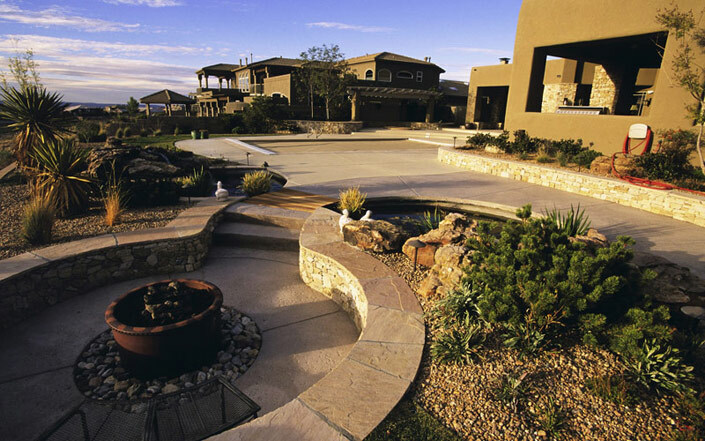 Low-voltage lighting extends the usage of the space while accentuating the landscape features.